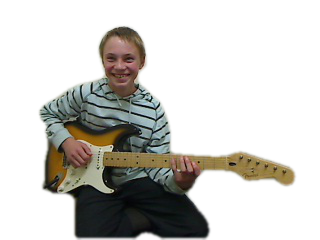 Are you looking for the best value guitar lessons in Palmerston North? 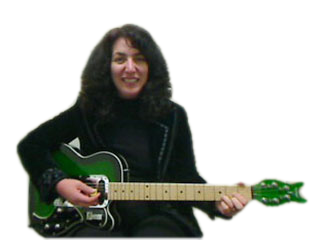 Do you want a free introductory guitar lesson or assessment of your ability? Do you have musical dreams, goals or aspirations that you want to achieve quickly? Do you have any guitar learning problems that you want solved fast? Are you just beginning and don’t know what to do? Are you getting nowhere fast trying to teach yourself? Or are you currently studying with an ineffective teacher? Need help with your school NCEA music performance and exams? Do you want to be taught by a proven master teacher who gets results fast? If you answered "yes" to any of the above questions, read on – I have the remedy for you. Hi, I'm Kevin Downing and I work as a professional guitar teacher, coach and mentor for serious guitar and electric bass students in Palmerston North. Over the last 25 years I have helped thousands of students just like you improve their skills beyond belief and fix any problems they were having – fast. This is what I do all day. 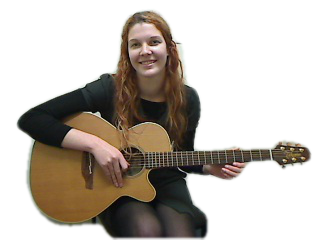 Yes, you will get the best value guitar lessons in Palmerston North – I promise you that. You can waste a lot of money with ineffective guitar teachers and unfortunately there are many of them about. I have decades of experience teaching all levels from beginner students through to advanced players. I also teach and mentor many other guitar teachers throughout New Zealand. I know what works and what doesn't. This is why you will get immense value for money from me. Whatever your guitar playing goals are I will help you achieve them – fast. Many other teachers teach in a slow, boring way and students quit quickly. However, many of my students have been with me for years and even travel from Auckland and Christchurch to study here. Whatever your guitar playing dream is, I can help you achieve it. I promise to make your learning fun and that you will progress as quickly as you possibly can. My lesson content is individualised for every student and yours will be tailored to match your personal musical tastes and requirements. PRIVACY: Your info is never shared with anyone else. Unsubscribe anytime. "I have several friends who are past or current students of Kevin, and I really wanted to learn the best technique to get the most out of my time and money – so I went to the best. Playing guitar is a huge investment in time and energy. You need to make the most of that to get the best out of it – and having a great teacher like Kevin is the best start." The lessons with Kevin have met all my goals plus more and have helped me in many ways with my professional career. Teachers like Kevin are rare on a global scale. I like the way he breaks complicated things down and makes them easy to understand, which only comes from years of experience. I can help you with any guitar related learning problem and they can be solved very quickly. I know just about every learning related problem there is and I give you expert feedback on your progress. I help you to know where you are and what you need to focus on to improve faster. I will encourage you to ask questions if you are not sure of anything. You will be surrounded by other guitarists at a similar level so that you can play with them, join seminars and performance groups and make life-long musical friends. "After 1½ years of lessons with Kevin he has helped me learn to read music, filled in the gaps where I had missed things, helped me with my parts for the school band, helped me with my soloing, and helped me win “The Best Guitarist Award” at the Manawatu Jazz and Blues Festival for the last two years." No matter if you are a learner, intermediate or professional level player, I have the ability, training and know-how to supercharge your playing ability. You will have a lot of fun playing and practicing no matter which style of music you want to play or what level you'd like to achieve. You'll also get the opportunity to study and play with with some of the world’s best guitarists. Renowned international players such as Robben Ford, Carl Verheyen, Chris Cain, Bruce Forman, David Becker, Steve Cardenas and Larry Koonse come to New Zealand to give seminars, workshops and concerts exclusively for my current students. "I have had a few guitar teachers over the years. I found that what I was taught didn't really prepare me for the “real world” of music. Kevin has been good in helping me to clearly understand things and has taught me to be able to apply my skills in the real world." A proven master teacher so you will learn quickly and efficiently. Lesson plans based on your personal interests and goals so you have more fun. Fast results so you save yourself time, frustration and money. The latest teaching methods using real songs from your favourite artists. A clean, professional, distraction free and safe music studio to enhance your learning. Recordings to track your progress or record your songs. Kevin's "Professional Tricks of the Trade" that you won't learn anywhere else. All levels taught from beginner to professional so there is no need to change teachers or schools. All modern styles taught – rock, pop, blues, jazz, metal, heavy, progressive, alternative, Christian, etc. Seminars and workshops taken by some of the world's best players. Jam sessions so you can learn to play with your friends. Our own private student forum where you can link up with other like-minded students. Performance groups if you want to learn more advanced performing skills. Lessons available 24 hours a day, 7 days a week – great for shift workers. A musical experience that you won’t get anywhere else. 0 - 18 months? – Then click here for more information. 18 months – 40 years? – Then click here for more information. Or are you currently playing professionally? – Then click here for more information. Testimonial – “Kevin Downing is a Guitar Guru” – Manawatu Evening Standard.